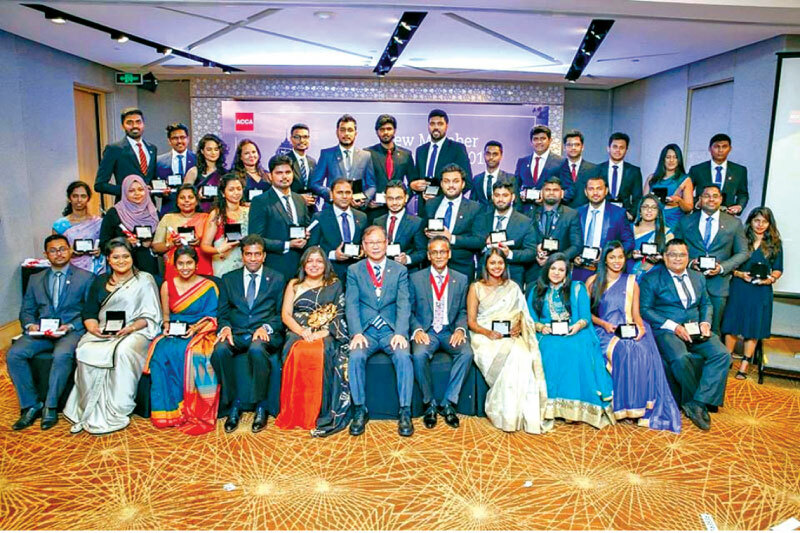 ACCA Sri Lanka, held its New Members Ceremony 2019 at the Union Ballroom Hilton Colombo Residencies, to celebrate the achievement of new ACCA members who have attained their membership recently. The ceremony commenced with a welcome address delivered by the Chairman of the Member Network panel, Suren Rajakarier who welcomed the new members to the ACCA fraternity and affirmed that ACCA today is the world’s most forward-thinking professional accountancy body, rated as the leader in terms of reputation, size and influence. He pointed out that with over 208,000 fully qualified members and 503,000 students worldwide, the new members would now become a part of a community that belongs to one of the world’s best-qualified and most highly sought-after accounting professionals who have made their mark in every sector and industry. He urged the members to remember that ethics and professionalism remain at the heart of the ACCA and to promote such values in the organizations, they would work in and make a positive difference to the industry. The Chief Guest, Immediate Past President of ACCA Global Council Leo Lee in his address, emulated that “constantly evolving and emerging trends taking place and growing into new norms, have created new situations that demand ethical decisions accountants may never have made before. Organizations know and trust us because at ACCA, we have been able to create the innovative, strategic-thinking accountants our fast-changing world needs. He thereby encouraged the new members to remain connected to ACCA and to keep updating their knowledge so that they could continue to deliver what markets and organizations would need in the future. Key note speaker T. P. L. Raj, founder of many recognized management business schools and the Managing Director of Erin Group of Companies, congratulated the new members on their remarkable success and shared with them the benefits of professional training and development. An ACCA member for over 25 years, Raj motivated the new members to continue their training and development through Continuous Professional Development for successful career progression. He also availed the members of the history of the ACCA and their successful journey since their commencement in 1904. A host of new members received their certificates and awards from Immediate Past President of ACCA Global Council, Leo Lee, Country Head for ACCA Sri Lanka Ms. Nilusha Ranasinghe and Chairman of the Sri Lankan Member Network panel, Suren Rajakarier. This event once again, showcased ACCA’s leadership position in the industry, in leading the way as an accountancy body in Sri Lanka, in building valued partnerships and in uplifting the standards of the profession .